Last time you had a bad cold, you likely had less energy than usual. You lay around and didn’t have any enthusiasm for your usual activities. After it dragged on for a day or two, a sense of helplessness probably set in. It was hard to remember what feeling good felt like or how you could ever bound off the couch again. In short, for a few days, you probably felt a lot like someone with depression. And increasingly, scientists think it’s no coincidence that a mental illness feels like a physical one. A growing body of research on conditions from bipolar disorder to schizophrenia to depression is starting to suggest a tighter link than was previously realized between ailments of the mind and body. Activation of the immune system seems to play a crucial role in both. • People with higher rates of inflammation are more likely to show signs of depression than those with healthy immune function. A study in mice presented earlier this month at the Society for Neuroscience’s annual convention showed that the immune changes came before the emotional ones. 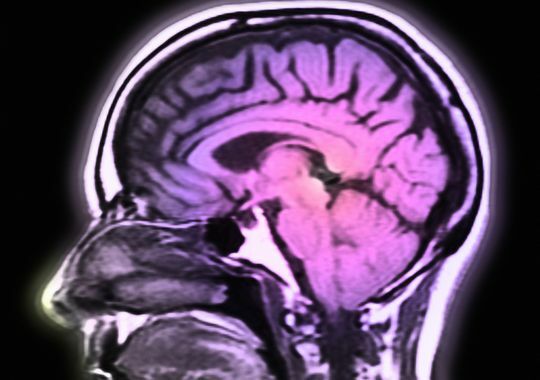 Merely adding inflammation to their thinking has helped neuroscientists cast a broader net when searching for causes of and possible treatments for mental illness, mood disorders and neurodevelopmental conditions such as autism, researchers say. And this mind-immune system connection might help explain why mental health treatments don’t work for some people. Perhaps, researchers now think, those people would be better off with approaches that target their immune systems rather than their brain chemicals. For those with schizophrenia and urinary tract infections, for instance, acute psychotic symptoms often improve after a few days on antibiotics, according to Brian Miller, an assistant professor of psychiatry at Georgia Regents University in Augusta, who is studying the connection between the conditions. This isn’t to suggest that all people with schizophrenia should be on antibiotics, Miller says, but patients with both might get as much or more relief from antibiotics as antipsychotics. Other studies show that the level of an inflammatory protein called interleukin 6 may help predict someone’s emotional state. Manipulating the levels of this protein changes behavior on depression and anxiety tests in mice, says Larry Swanson, a neuroscientist at the University of Southern California, and immediate past president of the Society for Neuroscience. Researchers are still working out the connection between the immune system and autism, says Judy Van de Water, an immunologist at the MIND Institute at the University of California-Davis. There is some indication, she says, that the people with autism who have the most behavioral problems, such as irritability and hyperactivity, also show the highest levels of inflammation. She says she hopes that better understanding the role of inflammation in autism will lead to treatments. The immune system’s role might also fit into the “second-hit” idea of mental illness, where two or more factors, such as genetics, immune challenges and, say, a hit to the head, combine to cause brain problems. That may explain why traumatic brain injuries often lead to depression, says Jonathan Godbout, a neuroscientist and associate professor at the Institute for Behavioral Medicine Research at The Ohio State University Wexner Medical Center. The immune system and the brain may be connected in ways that scientists have not previously realized. • Maintain a healthy weight (excess fat leads to inflammation). • Get adequate sleep — 7½ to eight hours a night, on average. • Avoid serious infections while pregnant and in early childhood. • There is a little evidence that anti-inflammatory drugs, including aspirin, might help improve mood, though that research is very preliminary and these drugs are probably not strong enough to treat full-blown illnesses, say researchers. Immune system may play crucial role in mental health.